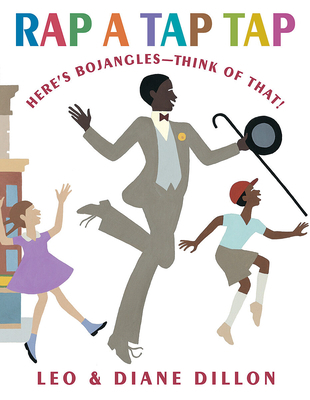 Here's Bojangles - Think of That! Blue Sky Press, 9780590478830, 32pp. Leo & Diane Dillon began working together in the 1950s. Diversity and equality are regular themes in their work, which ranges from African folktales to fantasy and science fiction. Their long list of awards includes two Caldecott Medals, four NEW YORK TIMES Best Illustrated Awards, four BOSTON GLOBE/HORN BOOK Awards, and multiple Coretta Scott King Awards. They were inducted into the Society of Illustrators Hall of Fame in 1997. Leo Dillon died in May 2012. IF KIDS RAN THE WORLD was their last collaboration. Diane Dillon is known throughout the world as one of the greatest children's talents of our time. For 58 years she collaborated with her husband, artist Leo Dillon, until his death in 2012. They are known for their multicultural books, including a significant body of African American books, which earned them a list of awards, including two Caldecott Medals, the NAACP Image Award, numerous Coretta Scott King Awards, several Boston Globe-Horn Book Awards, and honorary doctorates.